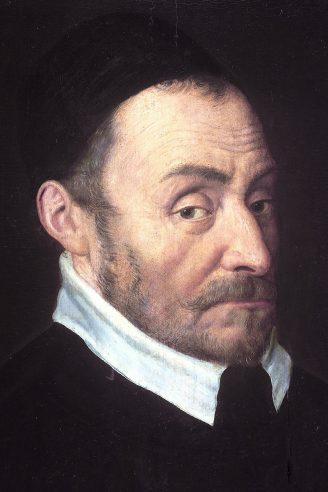 450 years ago this year, the Dutch Revolt against the Catholic king of Spain started. For eighty years, the largely Protestant provinces of the Netherlands fought for their independence. They got it in 1648, when the Peace of Münster (part of the Peace of Westphalia) recognized the Northern Netherlands as an independent republic. But the largely Catholic South remained Spanish until 1714, when it became Austrian. It was briefly joined with the Netherlands after the defeat of Napoleon, but by then the two had grown apart culturally, economically and linguistically. Belgium seceded from the Kingdom of the Netherlands in 1830. This separation was not preordained. 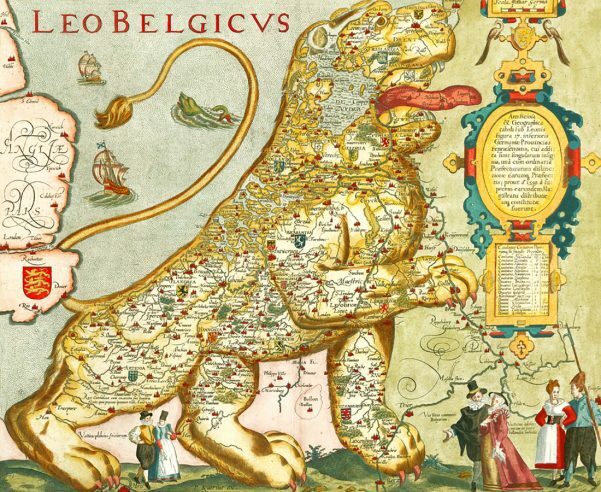 In 1581, Brabant (which is now split between Belgium and the Netherlands), Flanders as well as Mechelen had joined the Northern provinces in their declaration of independence, the Act of Abjuration. But they were quickly reconquered by Spanish forces. 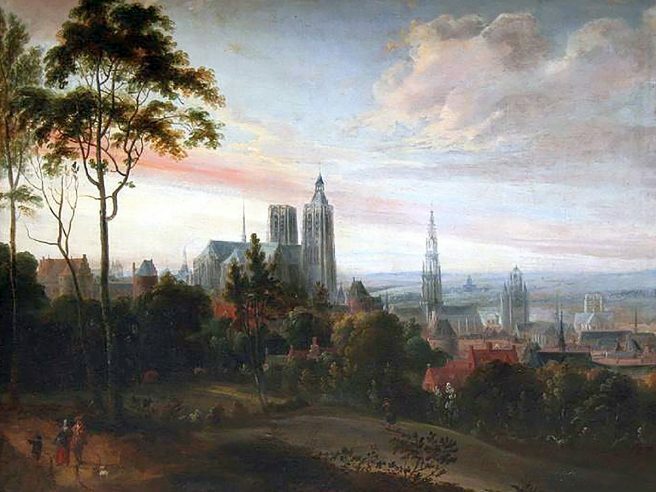 Antwerp and Brussels had been the centers of economic and political life in the Low Countries. They too fell under Spanish rule. 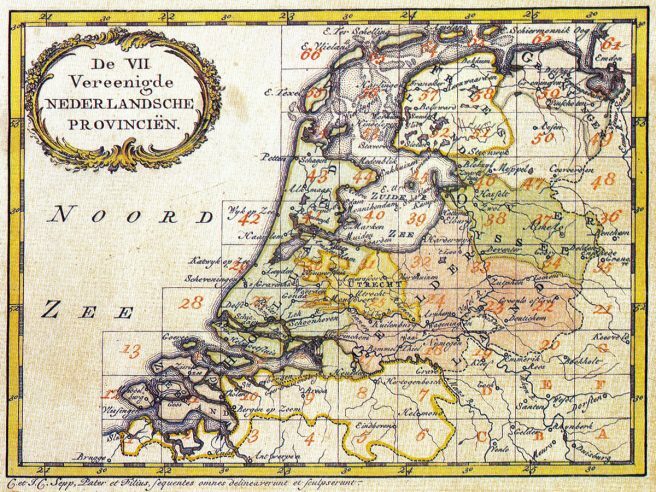 The North continued as a republic, centered on Amsterdam. What if the rebels had succeeded in holding the South? What could a United Netherlands have looked like? Peter Vandermeersch, the Belgian-born editor of the Netherlands’ NRC newspaper, suggests it would have been a country of 25 to 30 million today. Millions of them would speak French. Standard Dutch would sound more like the dialect of Brabant than Holland’s. Perhaps we would be a republic or perhaps a monarchy that celebrated not a member of the House of Orange but a Saxe-Coburger or a descent of the Habsburgs on King’s Day. The center of the country would be the former Duchy of Brabant. The most prosperous city would undoubtedly be Antwerp, a true metropolis that wouldn’t have been stunted in its growth by the blockade of the Scheldt. Amsterdam — unfortunately for the North — would be a nice provincial town. Let’s take Vandermeersch’s points one by one. When Dutch was first standardized in the sixteenth century, the Brabantian dialect of Antwerp was the most influential. 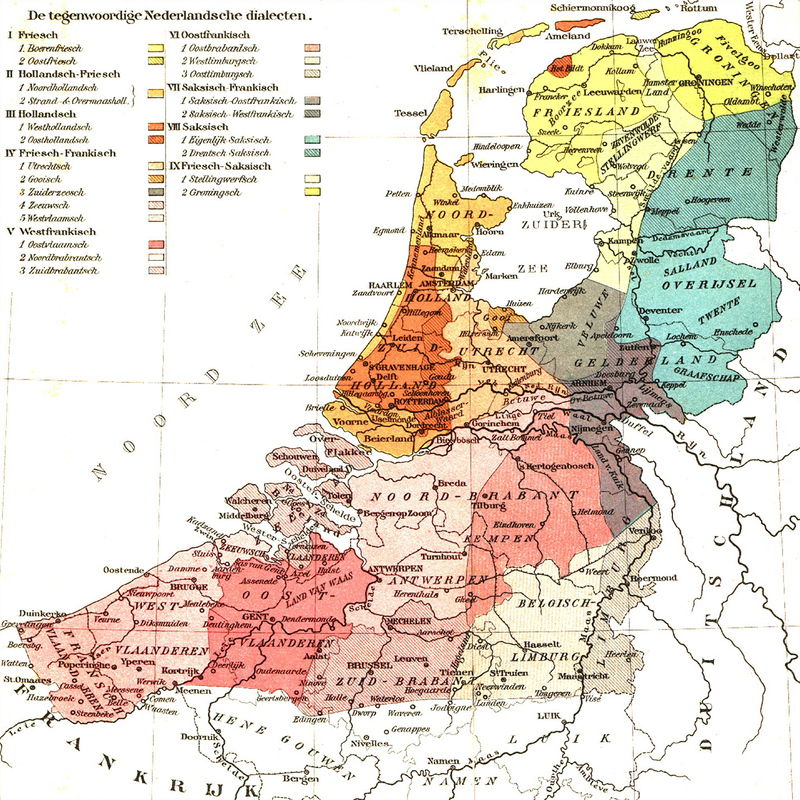 Hollandic, which was spoken in Amsterdam and the other cities of the northwest, lost out when between 100,000 and 200,000 refugees from Brabant and Flanders, escaping Spanish rule, resettled in the North. This mix of Brabantic and Hollandic developed into Standard Dutch. In the twentieth century, a combination of national education, urbanization and the rise of mass media weakened regional dialects. Brabantic today sounds a little different from Standard Dutch, which is associated with Holland, but there is no language barrier. In what became Belgium, by contrast, French, the language spoken by the elite, influenced the way Flemish is pronounced, but not the way it is written. When the Dutch provinces seceded from Spain in 1581, they initially shopped around Europe for a king. Francis, the Duke of Anjou and a possible heir to the French throne, was considered, but Holland and Zeeland — the two wealthiest regions — rejected him. Francis himself was also dissatisfied with the provinces’ offer of limited sovereignty. William of Orange, the leader of the Revolt, was asked to become Count of Holland, but he was assassinated before he could accept the offer. Robert Dudley, the Earl of Leicester, was appointed governor-general of the Netherlands in exchange for English support in 1585, however, his attempt to ban continued Dutch trade with Spain made him the enemy of the big-city merchants who ran the country. Only then did the States General of the Northern Netherlands declare themselves sovereign and a republic was born. The Netherlands finally became a monarchy in 1815 under a descendent of William of Orange. The Southern Netherlands remained under Habsburg rule. The War of the Spanish Succession switched control from the Spanish to the Austrian branch of the family, which lost it to the French First Republic in 1794. When the Belgians — irritated by King William I’s Holland-centric development — seceded in 1830, they invited Leopold of Saxe-Coburg and Gotha, two German principalities, to lead them. 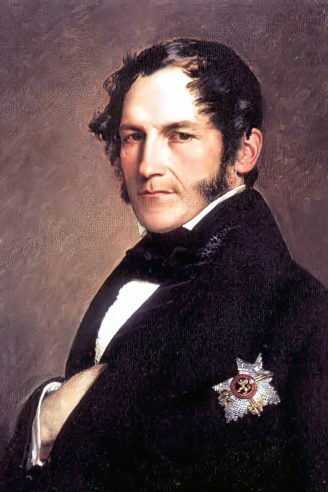 Leopold had been married to the eldest daughter of King George IV of the United Kingdom and still enjoyed support in Britain, which was crucial to securing international recognition of the new Belgian state. Brabant used to be the cultural, economic and political heartland of the Low Countries. During the Revolt, it became a war zone. ‘s-Hertogenbosch, one of the three largest cities of Brabant, was finally conquered by Frederik Hendrik, the youngest son of William of Orange, in 1629, after six decades of fighting. Antwerp continued to elude him. The wealthy merchants of Amsterdam, who financed the war, were wary of liberating their rival port for fear of losing business. The Republic never made a move on Brussels. If Holland had been willing to provide the necessary funds, there is a fair chance it could have taken all three cities and with it the entire Duchy of Brabant. When the French briefly allied with the Dutch in the 1630s, they nearly overran the whole of Flanders. Instead, Brabant was partitioned at the end of the war. The southern half, including Brussels, remained Spanish. The north was admitted into the Republic not as a sovereign province, but as a federally governed entity called Staats-Brabant. The Catholic population were for a long time treated as second-class citizens. 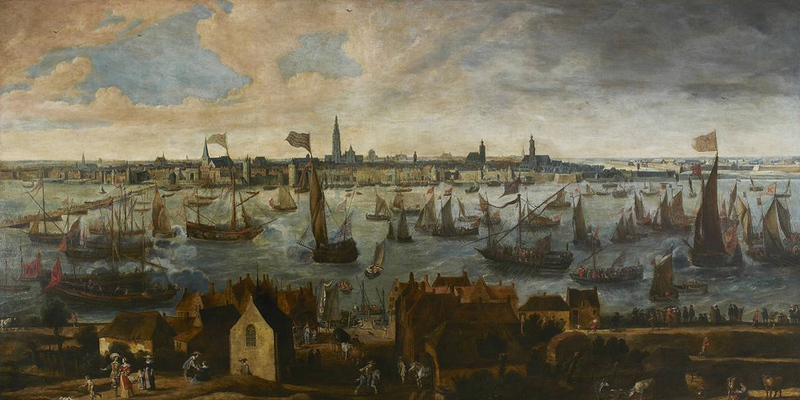 A Dutch blockade of the Scheldt, coupled with Spanish persecution of non-Catholics in the Southern Netherlands, caused tens of thousands of merchants and tradesmen to flee Antwerp and seek refuge in Amsterdam, where they contributed to the Republic’s sudden explosion in prosperity and what was later called its Golden Age. 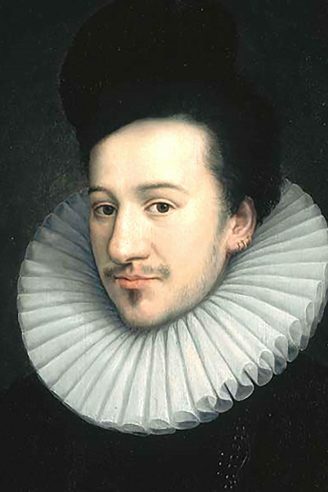 Frederik Hendrik’s hopes of reconquering Antwerp were never realized. A final battle, in 1638, led to the worst Dutch defeat in the Eighty Years’ War. By then it was probably too late for Antwerp to reclaim its former glory anyway. Amsterdam had already established itself as the entrepôt of Europe. 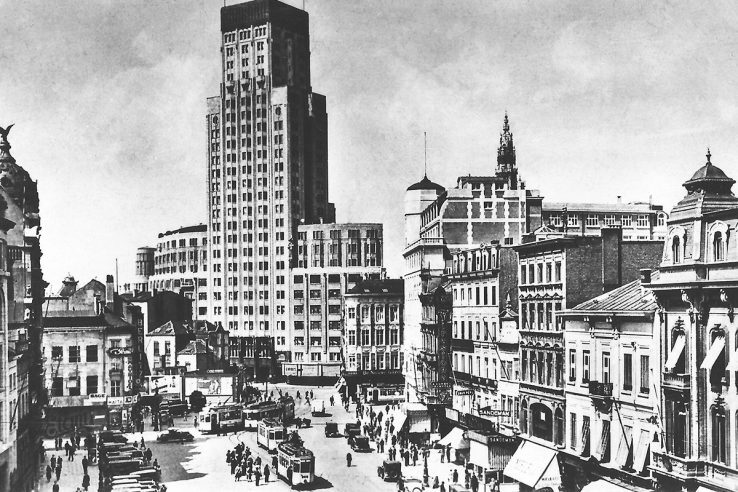 The city’s capitalist ruling class was not going to give up its newfound power and wealth. What if they had been persuaded by the other provinces? Each, after all, had one vote. Holland was first among equals. Some of the more fanatically Calvinist provinces, led by Zeeland, argued for the liberation of the entire Netherlands. Vandermeersch suggests Amsterdam would have reverted back to a provincial town, but that seems unlikely. 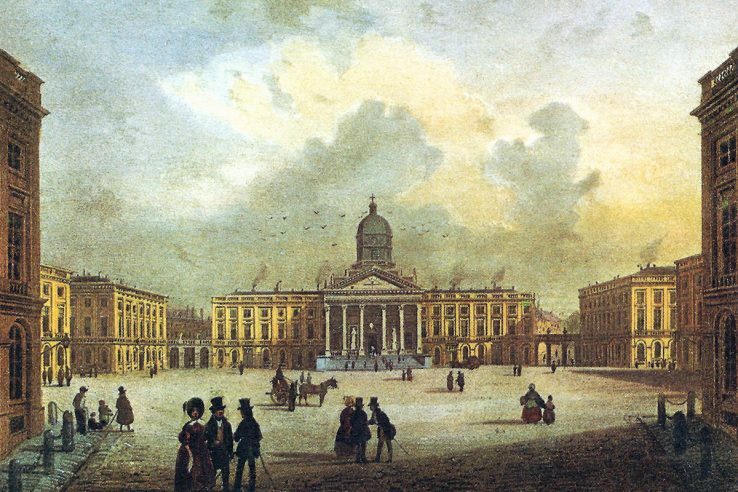 Not only had it become the center of Northern European trade; it was now the financial capital of Europe. But no doubt it would have had to share the crown of Antwerp, which was favorably situated at the mouth of the Belgian river system. Its proximity to France could have created more opportunities for trade, whereas the Amsterdam-dominated Netherlands became highly dependent on Germany in later centuries. Belgium took full advantage of the Second Industrial Revolution in the nineteenth century, when the Netherlands fell behind. 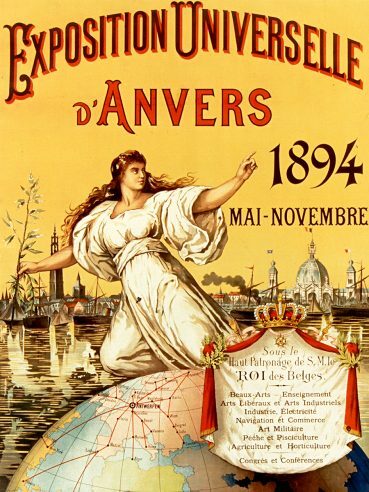 During the Belle Époque, Antwerp could easily have become the richest and most cosmopolitan city of the Low Countries — and perhaps Western Europe. I love how thorough you have been with this article. I wrote on this topic on my blog some years ago and it was one of the postings that attracted so much hostility. I did include a chapter on the issue in my book ‘Down Other Tracks: Alternate Outcomes for the 19th Century’. To overcome the accusation of anti-Belgian feeling, I had the capital alternate between Brussels and The Hague as had been done in states like the Polish-Lithuanian Commonwealth. I envisaged that sectarian tensions would have replaced the language tensions of modern day Belgium. Assuming that the combined state had the same colonial interests as the two countries, you would have had an interesting empire, including the Congo as well as Indonesia and possibly additional colonial troops fighting for the Entente side in 1914. Given the relative strength of the Dutch Army in 1914 and how dependent Germany became on supplies coming via the Netherlands during the First World War, it certainly would have made that war very different on the Western Front. Could the United Netherlands been an ally of Germany or would it have been invaded as Belgium was? There was significant pro-German sentiment in the Netherlands around the time of World War I, but if the Germans had carried out the Schlieffen Plan anyway it would have forced a combined Belgium-Netherlands on the side of the Allies. If Belgium hadn’t seceded, then I don’t think a United Kingdom of the Netherlands would have ended up with the Congo. This was almost entirely King Leopold II’s personal endeavor. Could you give me a link to the blog post you mentioned?